Kamlesh Nagarkoti is an Indian cricketer, who plays for Rajasthan in the domestic circuit. Born on 28 December 1999 in Barmer, he is among the upcoming fast bowlers in India and can execute his role as an all-rounder too whenever needed. He is a right-arm fast bowler with right-handed batting style. He has an ability to ball at a speed of more than 140 kph and can bowl for long spells too. At the auction of Indian Premier League ahead of the 2018 season in January, he was bought for Rs. 3.2 crores by Kolkata Knight Riders. A son of a subedar in the Indian Army, Kamlesh trained under Surendra Singh Rathore since his childhood. He got a lot of encouragement from his father to develop a career in cricket. In order to learn to play cricket, his father bought a one-bedroom apartment in Jaipur with his retirement corpus so that he can train in a proper academy. In the 2016–17 Vijay Hazare Trophy, on 26 February 2017, Nagarkoti made his List A cricket debut for Rajasthan against Mumbai. In this match, he took one wicket and remained unbeaten on 21 runs. He had played a total of eight List A matches to date, with the best bowling figure of 3/30 and the highest score of 56 not out. He was part of the in Indian squad at the 2018 ICC Under-19 Cricket World Cup. India won this world cup with finals against Australia. In this final match held on 3 February Nagarkoti took two wickets and dismissed Australia’s U19 captain Jason Sangha. 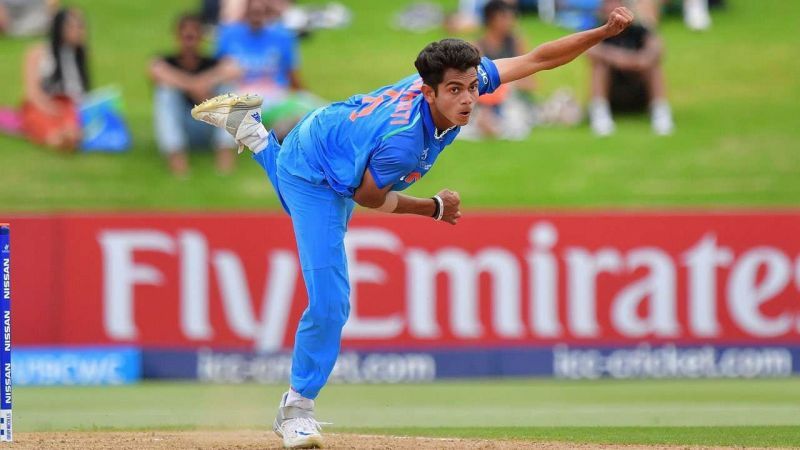 Two days after his debut in List A matches, Kamlesh took the first-ever hat-trick for Rajasthan in List A cricket in the Vijay Hazare Trophy match against Gujarat. He took 14 wickets in two youth Tests against England Under-19 and earned his place in India's Under-19 squad for the 2018 World Cup. At the 2018 U19 World Cup, he impressed everyone by taking a total of nine matches in the tournament.